If you try to access any field or invoke a method on a null reference, you will be greeted with NullPointerException in Java. It's very important for every Java developer to understand difference between primitive and reference variable in different cases e.g. while assigning values, comparing values, passing them as method arguments and returning them from methods, to avoid nasty errors e.g. null pointer exception. In short, the main difference between two types is that primitive types store actual values but reference type stores handle to object in the heap. 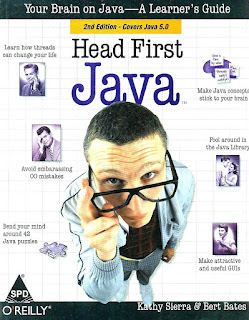 Head First Java 2nd Edition also explains this key concept clearly, So you can also take a look there to understand it bit more. Now, we know the purpose of both types of variable, its time to take a deep dive into some more differences between primitive and reference variables in Java. First difference between primitive and reference type is that former can never be null if no value is assigned they take their default value e.g. boolean variable will be initialized with false, byte, short, char,int and long will be initialized with zero, and float and double variables will be initialized with 0.0 value in Java. The second difference is that primitive types stores values but reference type stores handle to object in heap space. Remember, reference variables are not pointers like you might have seen in C and C++, they are just a handle to object so that you can access them and make some change on object's state. When you assign a value to primitive data types, the primitive value is copied, but when you assign an object to reference type, the handle is copied. which means for reference type object is not copied only the handle is copied, i.e. the object is shared between two reference variable, known as aliases. An implication of this is modification done by one variable will affect to other. You can see that modification on one primitive variable doesn't affect the copy but it does in the case of the reference variable. This sometimes creates confusion between programmer that Java is not passed by value for the reference type, which is not correct, Java is always passed by value, be it references or primitive variables. You can see that primitive variable are rightly compared using == operator, but when we compared two String object with same contents i.e. "JPY", they are not equal using == operator, that's why the second line is not printed, but when I compared them using equals() method, they are considered equal. This means you should always use equals() method to compare reference types. When you pass primitive values to a method the values are passed to the method, but when you pass reference variable, only the handle is copied. which means for primitives, changing the formal parameter's value doesn't affect the actual parameter's value, while in case of reference types, changing the formal parameter's handle doesn't affect the actual parameter's address but changing the formal parameter's internal values does affect actual parameter's object, because they refer to the same object in memory. 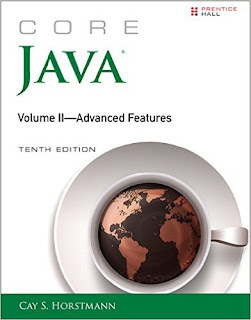 See Core Java Volume 1 10th Edition by Cay S. Horstmann to learn more. For those, who are not aware of formal and actual parameters, formal parameters are those, which is listed(along with its type) in method declaration e.g. on getName(Employee e) , e is a formal parameter. While actual parameters are those which are passed to method during invocation e.g. getName(new Employee("John")). You can see that changing formal parameter's value doesn't affect actual parameter's value in case of primitive variable but it does in the case of the reference variable, but only if you change the state of an object. When you return primitive types from a method then the primitive value is returned but when you return a reference type, again only handle to the is returned. This means a locally created object can survive even after method finishes its execution, if it was returned from a method or if it was stored in any member variable, why? because object is always created in heap memory. while all primitive local variables are destroyed after method finishes execution. Primitive variables are created in the stack while reference variable is created in heap space, which is managed by Garbage Collector. See the difference between stack and heap memory in Java, for more details. Primitive variables take less memory than reference variable because they don't need to maintain object metadata e.g. object header. An int primitive variable will take less memory than Integer object for storing same value e.g. 5. That's all about the difference between primitive and reference variable in Java. Always remember that primitive variables are by default initialized to their default value, which is not null and they will not throw NullPointerException, but if you access an uninitialized reference variable it will throw NullPointerException. Primitive variables are also copied when you assign them to another primitive variable and change on one variable will not affect other, but in the case of the reference variable, the handle is shared between multiple reference variable and any change into object's state will be visible to all reference variable. Another key difference between primitive and reference variable to note is that former take less memory than later due to object metadata overhead e.g. memory require holding object header. An int primitive variable will always take less memory than Integer object for storing same value. Actually, only Instance Variables get a default value. Local variables do not get a default value, you must initialize them manually. If you don't initialise a loval variable before using it the compile will return an error. Thanks @Joseph, that's true, but not just instance variable but static variable also get initialized with default value. In short, member variable get initialized with default value e.g. 0 for int, 0.0 for float and double, false for boolean, and null for reference type. Local variables doesn't automatically initialized by default value, you must initialize them before using and compiler check for that. If you use them without initializing, you will get error. Once again Thanks to @Joseph, for such nice comment, which add value into article. Thank you for this article, it is very thorough. What is the term handle refer to....is it the object reference variable ?